Whatever the drilling is, if only there is mud system, you will have mud mixing and agitation issues after a period of drilling. 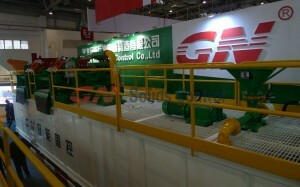 GN jet mud mixer is specially used for mud mixing. GN Jet mud mixer is composed of a venturi type hopper and a centrifugal pump, we have 4 models available, GNSL150-45S,GNSL150-35S, GNSL100-25S,GNSL100-25M with 1320gallons/min, 880gpm, 400gpm and 264gpm mixing capacity. How a venturi hopper work? The fluid velocity must increase through the constriction to satisfy the equation of continuity, while its pressure must decrease due to conservation of energy: the gain in kinetic energy is balanced by a drop in pressure or a pressure gradient force. An equation for the drop in pressure due to the Venturi effect may be derived from a combination of Bernoulli’s principle and the equation of continuity. Mud agitator is mainly used for mud agitation, sometimes for mud mixing. Also in some applications, vacuum degasser also be called a” big mud agitation equipment”.Mud agitator is composed of electric motor and gear box, the popular connection method is direct connection, in some countries, they still use shaft connection mud agitator. 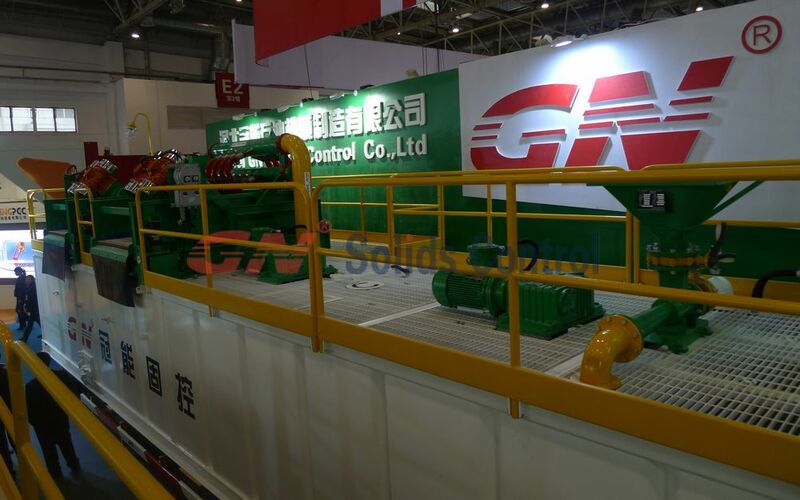 GN mud mixing hopper are widely used in HDD(horizontal directional drilling) and oil gas drilling for bentonite mixing.Mud Mixing unit is combination of drilling mud hopper and centrifugal pumps,it’s mixing force comes from the centrifugal pump. 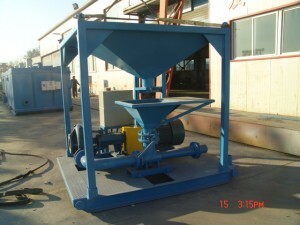 The mud mixing hopper, also called a jet mixing hopper, in which materials are put into the circulating mud system. The mud hopper is powered by a centrifugal pump that flows the mud at high velocity through a venturi nozzle (jet) below the conical-shaped hopper. Dry materials are added through the mud hopper to provide dispersion, rapid hydration and uniform mixing. Liquids are sometimes fed into the mud by a hose placed in the hopper. The GN Mud equipmet range of mud mixing hoppers delivers safe, accurate and reliable mud mixing for both on- and off-shore applications. Design of the hopper is focused on key safety and usability features such as dust-free operations, interfacing abilities and remote or manual control options. The mud mixing unit can be delivered with an integrated Venturi-type mud mixer to provide fast, easier and more effective mixing of fluids and powders. We can also design and manufacture upgrades of existing mud mixing hopper systems to ensure dust-free operations and more modern interfacing abilities. Feeding and dosing is controlled using Open / Close valves; the valves can be controlled remotely (optional) or locally.